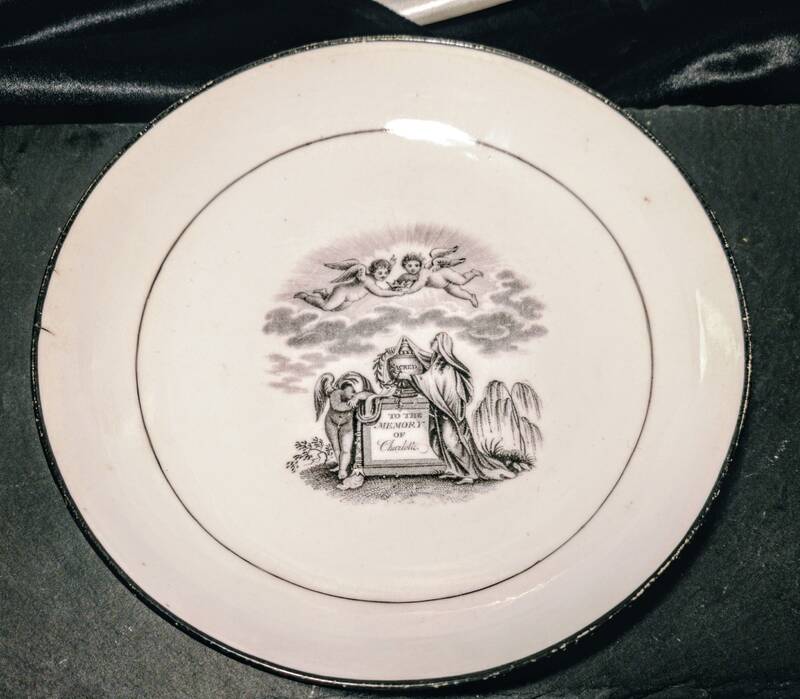 A piece of macabre yet attractive mourning ceramic. 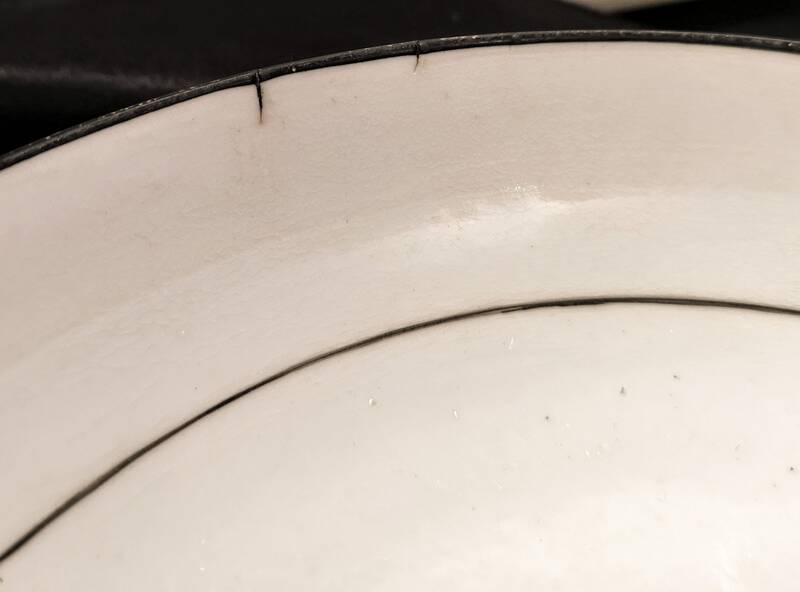 Staffordshire earthenware black and white transferware. 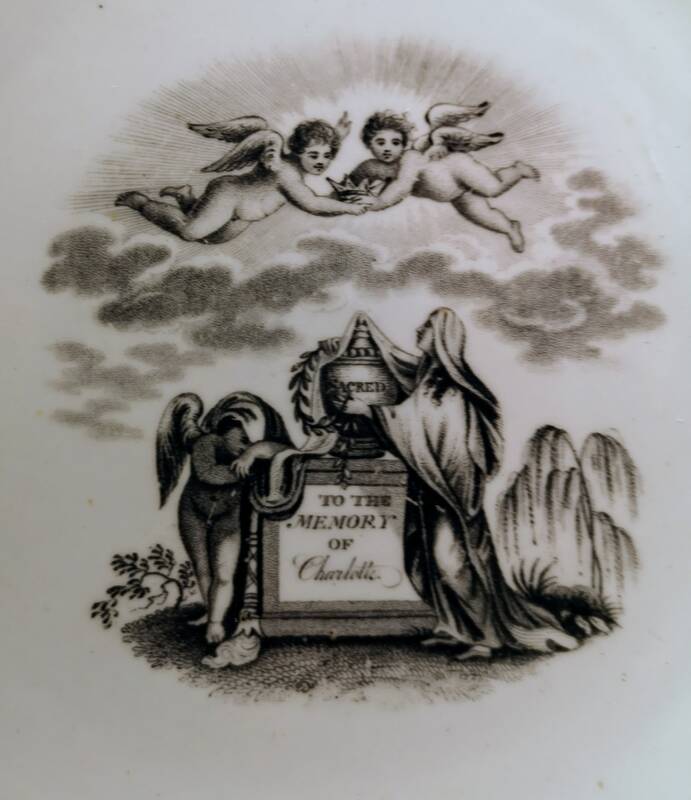 It commemorates the death of Princess Charlotte Augusta of Wales 1796 ­to 1817, the only child of the George IV, She subsequently married Prince Leopold and then died during childbirth. Her death paved the way for Victoria to later become queen. Charlotte was loved dearly and was mourned by most in a deep and saddened mourning. 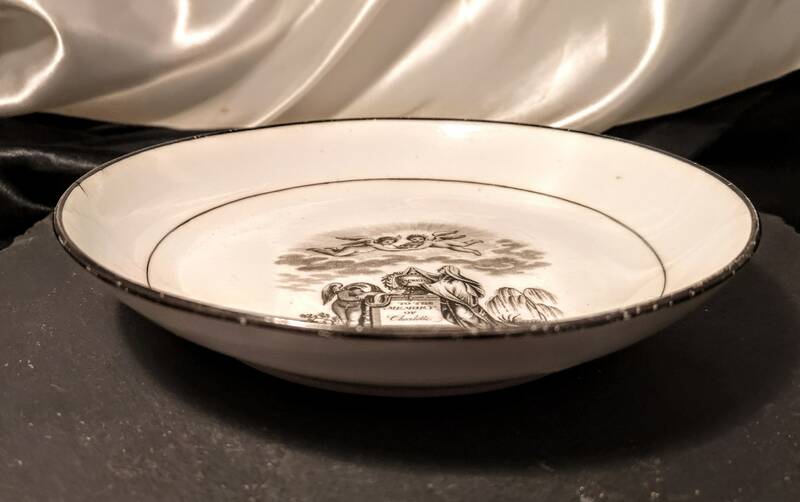 This dish features a print of people mourning at a tombstone along with winged putti. 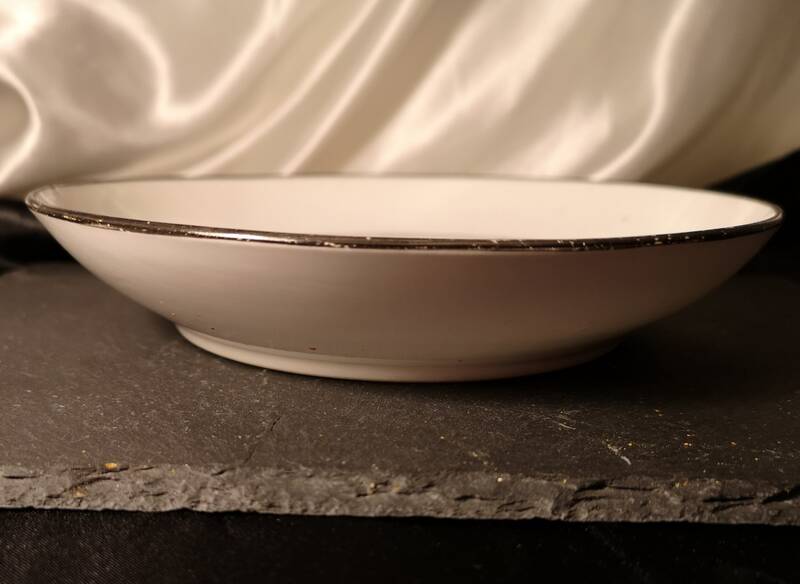 Made in England in 1818. 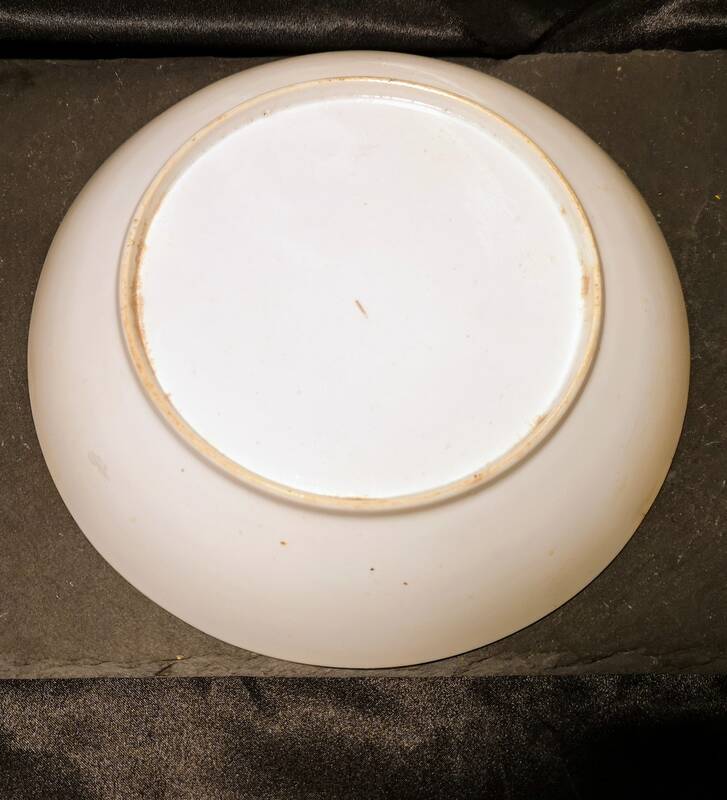 Approx 7.5" diameter and 1.5" height.